A total of 29 nations captured world championships at the 2017 World Rowing Championships in Sarasota-Bradenton, Florida with Italy earning the title of best overall nation with three gold medals. 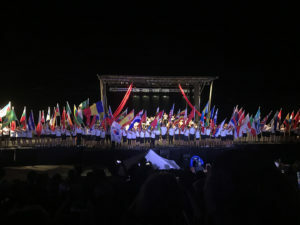 The eight day-long event featured more than 900 of the world’s premier rowers, and 312 of the sport’s top up-and-coming athletes from around the United States. Teaming with the International Rowing Federation which organized the World Rowing Championships, USRowing’s U-19 National Team presented the inaugural Youth Regional Challenge during the festivities – an event that showcased the top U-19 rowers from across the six USRowing regions, racing in eights and quadruple sculls. 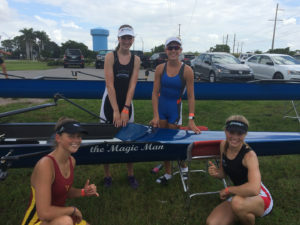 Among that group was Olympia Area Rowing member Emily Jaudon whose team, despite never having competed together before, came up with one of the most thrilling finishes at the event. 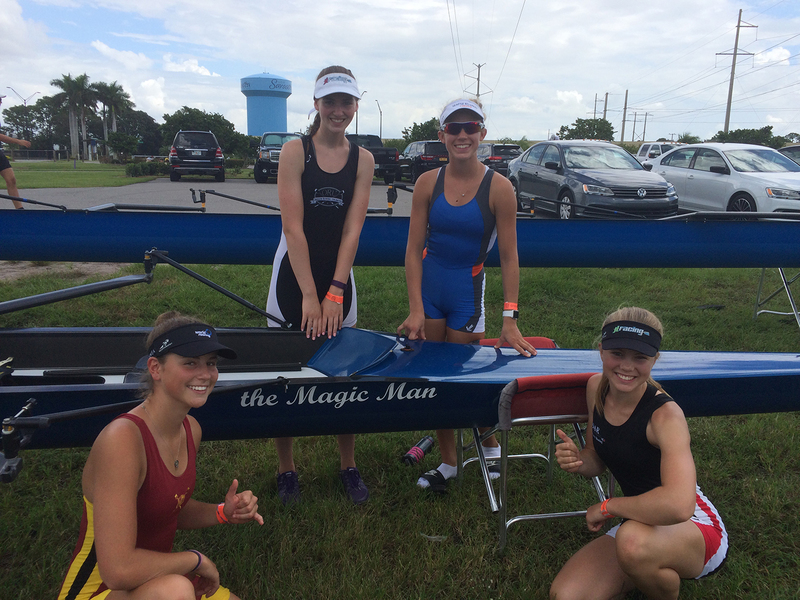 The Northwest region women’s quadruple sculls, with Jaudon as the three seat, won its division at the 2017 Youth Challenge in dramatic fashion, edging the Southwest region team by less than 0.35 seconds. “It was pretty amazing. 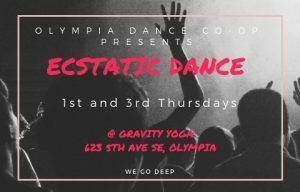 We started off in third place, halfway through the race we were still in third place,” said Jaudon, who is a sophomore at Olympia High School. “We were second with 500 meters to go.” Then came a late surge as Jaudon and her teammates Desi Petrova (Oregon Rowing Unlimited – PDX), Helen Haley (Lakeside School) and Elsa Andrews (Seattle Rowing Center) reeled in the leaders in the final strokes. The Northwest team stopped the clock in the 2,000-meter race in 7 minutes, 12.60 seconds. The Southwest region, which had won the previous day’s heat, finished in a time of 7:12.93. Remarkably, Jaudon and her team, which had members from Seattle and Portland, had only been on the water three prior times together before triumphing in the Youth Challenge finals, making the victory even more impressive considering they were rowing against teams that had much more experience together. Emily Jaudon and her teammates won their division by less than 0.35 seconds – the closest of all the final races at the event. They certainly started to click at the right time in the finals, and not a moment too late as their margin of victory was the thinnest among all the Youth Challenge championship races. Heats took place the day before with Jaudon and her Northwest squad leading through the first half of the race before ultimately finishing second with a time of 7:45.18 – more than 3 seconds behind the winning Southwest region team. Following the heats, Jaudon was in attendance for the Opening Ceremony of the World Championships at Nathan Benderson Park, a spectacle which kicked off the international rowing community’s biggest event of the year. 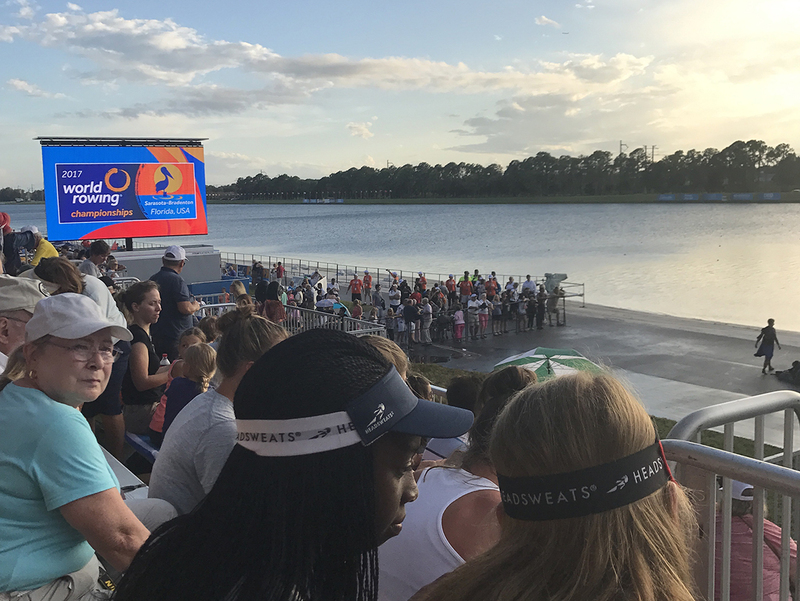 Nearly 1,000 athletes applied to represent the six USRowing regions in four boat classes – the men’s and women’s eights and men’s and women’s quadruple scull. 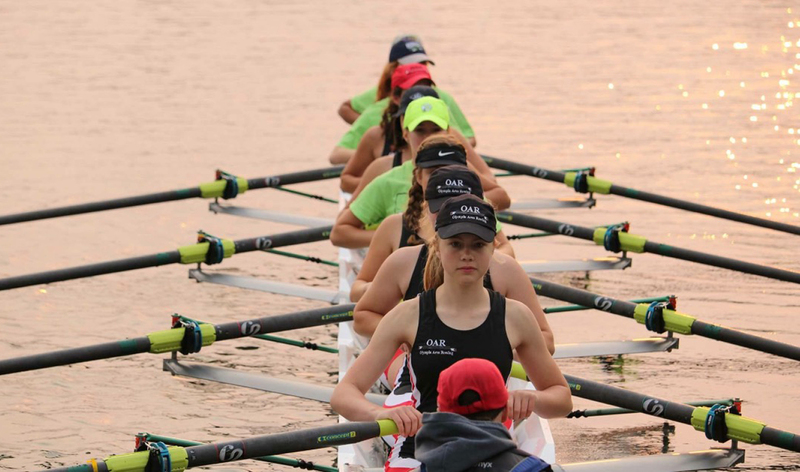 Jaudon, who is in her second year of rowing, was one of 26 individuals selected to the Northwest girls’ team for the inaugural Youth Challenge. 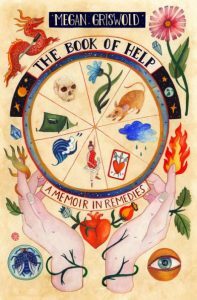 “We are delighted that Emily represented Olympia and the Northwest region so well. She only started rowing only a little more than a year ago, bringing a positive attitude, strong work ethic, and a great sense of teamwork to the club,” Olympia Area Rowing coach Richard Hull said.